"Let's pretend we don't know where we are going, or even who we are." Sony Pictures Classics is releasing this indie drama in theaters this May, so we're featuring the trailer before the summer movie season kicks off. Paris Can Wait is the feature directorial debut of Eleanor Coppola, Francis Ford Coppola's wife, now making her debut at the age of 81. Diane Lane stars as a woman married to a Hollywood producer who, after a visit to Cannes, takes a long road trip through France with one of her husband's business partners. Alec Baldwin stars as her producer husband, and Arnaud Viard plays the man she goes on the road trip with. Along the way, she finds happiness and a love for life again in everything from the food to the sights and the conversations. This looks like a light, charming film to remind you how great it is to see the world. Eleanor Coppola's feature film directorial and screenwriting debut at the age of 81 stars Academy Award nominee Diane Lane as a Hollywood producer's wife who unexpectedly takes a trip through France, which reawakens her sense of self and her joie de vivre. Anne (Lane) is at a crossroads in her life. Long married to a successfully driven but inattentive movie producer (Baldwin), she finds herself taking a car trip from Cannes to Paris with a business associate of her husband (Viard). What should be a seven-hour drive turns into a journey of discovery involving fine food and wine, humor, wisdom, and picturesque sights. 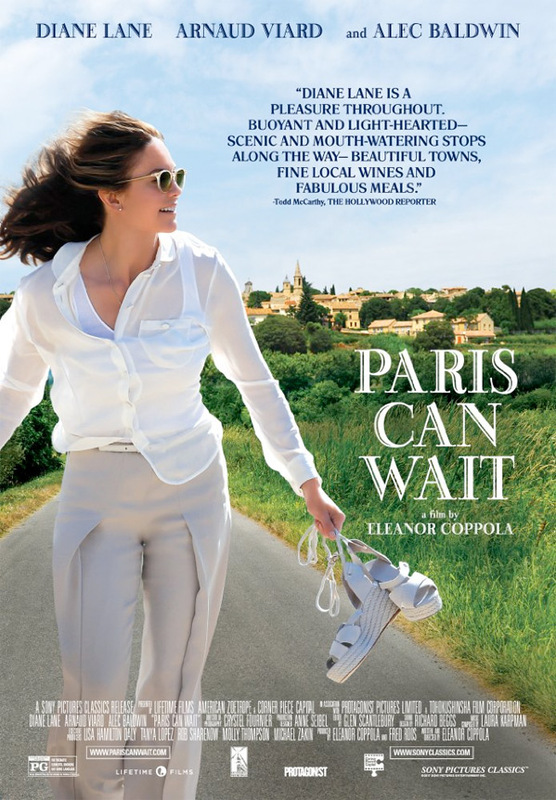 Paris Can Wait is written and directed by Eleanor Coppola, who's also Francis Ford Coppola's wife, making her feature directorial debut. This first premiered at the Toronto and Mill Valley Film Festivals last fall. It also played at this year's SXSW. Sony Classics will open Paris Can Wait in select theaters starting on May 12th.